Although her love affair with Wassily Kandinsky from 1902 to 1914 partly eclipsed her artistic personality, Gabriele Münter played a key role in the development of German Expressionism of the early 1900s. Together with Jawlensky and Marianne von Werefkin, among others, she and Kandinsky founded the Neue Künstlervereinigung München (NKVM) followed shortly afterwards by Der Blaue Reiter (The Blue Rider), pioneers in German avant-garde Expressionism. Portraits were always one of the pre-eminent genres in Münter’s output. As can be appreciated in this self-portrait, dated around 1908 when she was in her early thirties, the painter was particularly interested in capturing moods. Her aesthetic is close to the more textured and expressive late Impressionism, and foreshadows the Expressionistic style of her mature years. 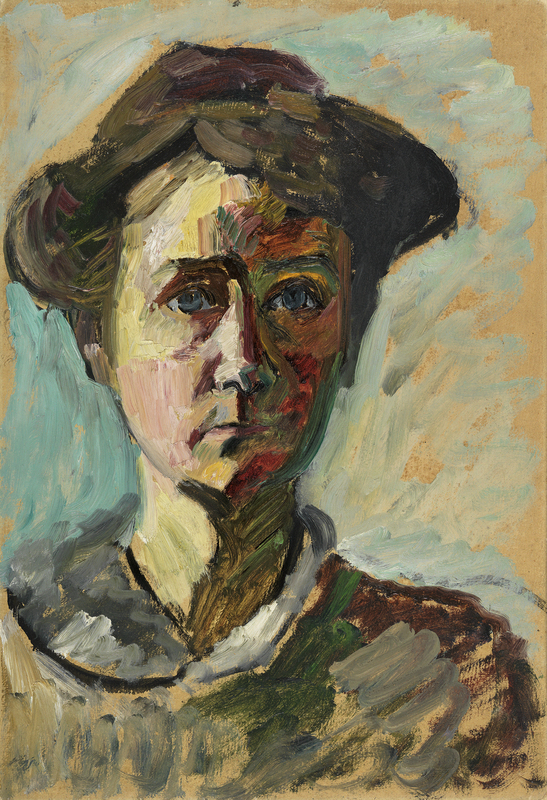 The present self-portrait, which remained in the artist’s possession throughout her lifetime, passed to the Gabriele Münterund Johannes Eichner-Stiftung, which managed the gradual sale of her Estate. 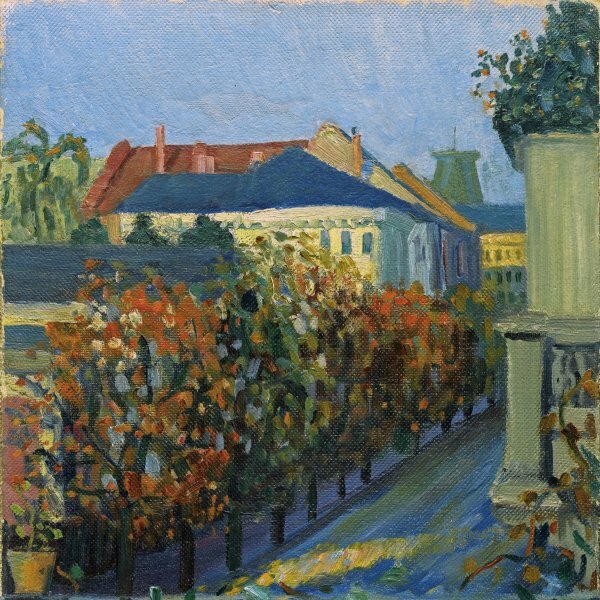 In 1970 the work was sold to the Kunsthandlung Franz Resch in Gauting, from which it passed, via the Galerie Wolfgang Ketterer in Munich, into the holdings of the major collector of German Expressionist art Robert Gore Rifkind before being incorporated into the Thyssen-Bornemisza Collection.